I live in an apartment complex and often work at odd hours of the day. So I tend to try and keep noise down to a minimum. But sometimes I like to listen to a podcast, watch a movie, or edit some video with sound on the computer. I have a Windows, Linux and Mac computer running most of the time. Each of these has an audio output and each could take up an external speaker system and make a lot of noise in the quiet hours. I bought a pair of "over the ear" headphones specifically to control the noise emitted into the room, but grew tired of switching from one output to the other. I didn't have a sound board so admittedly it was an exercise in getting at the back of lots of computers whenever I decided (usually after the fact) to start using one or the other computers for playing or editing something. 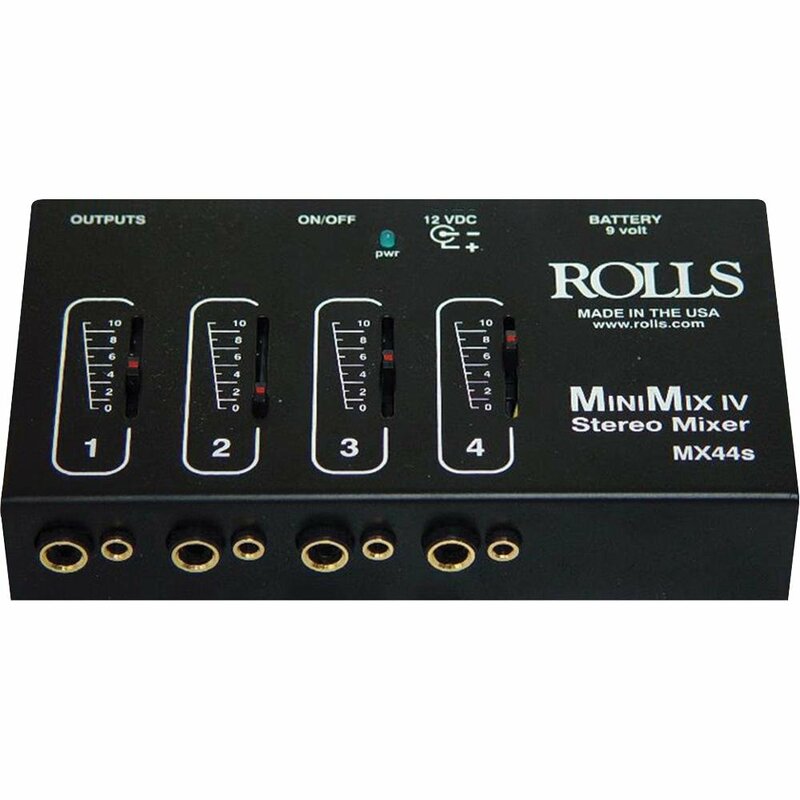 Eventually I came to the conclusion that what I needed was an external "mixer" with about 3 or 4 inputs. Not the justification for a large surround sound theater amplifier, but something smaller. There are passive and active models, this is the active model which means it has a pre-amp built-in. Without a pre-amp the signals produced by computer audio are usually far to weak to mix properly. The case is a painted heavy steel or aluminum and it has rubber feet. So now I plug my headphones into the combined output and slide the audio levels up and down to mix the sound coming from each computer. I did have to buy cables from Monoprice, and they do tend to pick up interference. I probably should have bought "shielded" cables. But for now I just center or slide down the channels I'm currently not interested in. If there is signal on a channel it tends to drive out the interference, but if there is no signal, floor noise tends to get amplified and I have to turn down that channel.